Merryland was founded in 1978 by Mrs. Susheela George with just three teachers and forty children. Today, after more than three decades, it has taken the shape of Merryland International, recognised by The Ministry of Education, the Abu Dhabi Educational Zone and the Abu Dhabi Education Council. Our Vision is to create world class peace loving citizens, who shall enrich this world with unique aspects of ethos highly empowered with knowledge and respect for all – sans borders. Highly applauded for academic achievements, strong sense of discipline and effective teaching and learning methods over the past thirty one years, Merryland has now developed into an International School located in Mussaffah, ME-9, with cutting edge technological advancements incorporated with modern teaching methods. 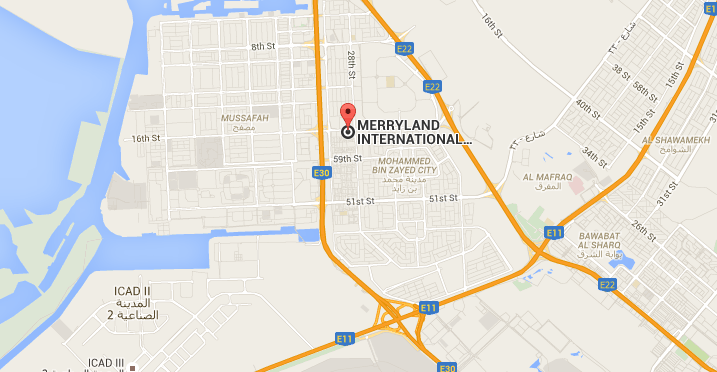 There are currently no reviews for Merryland International. Please add your own review using the comments box below.